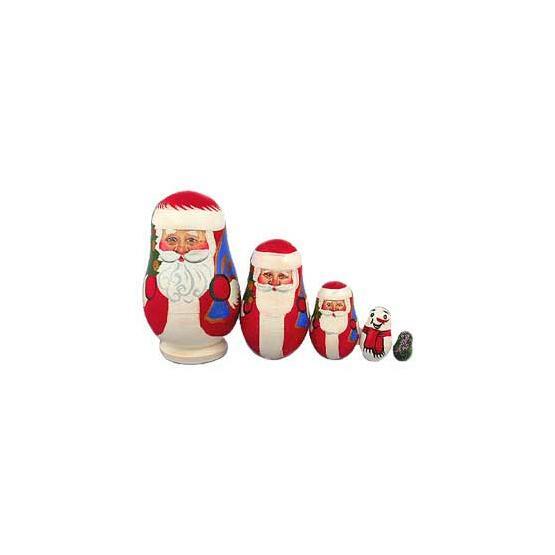 Authentic Christmas matreshka doll depicting Santa Clauses and a snowman. Height: 3.5" (9 cm). Imported from Sergiev Posad, Russia. Ships within 5 business days.